K College formerly know as West Kent College is the largest college in the area. Offering a wide range of courses from construction to Hair Design, want to re take your A-level or start a fresh, K College is the place for you. Located 0.5 miles from the railway station. Tonbridge Day Nursery is also located in the K College premises. 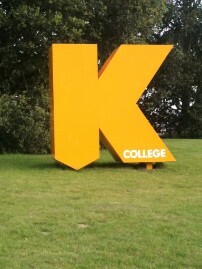 Do you go to the K College, how is it? Would you recommend it?